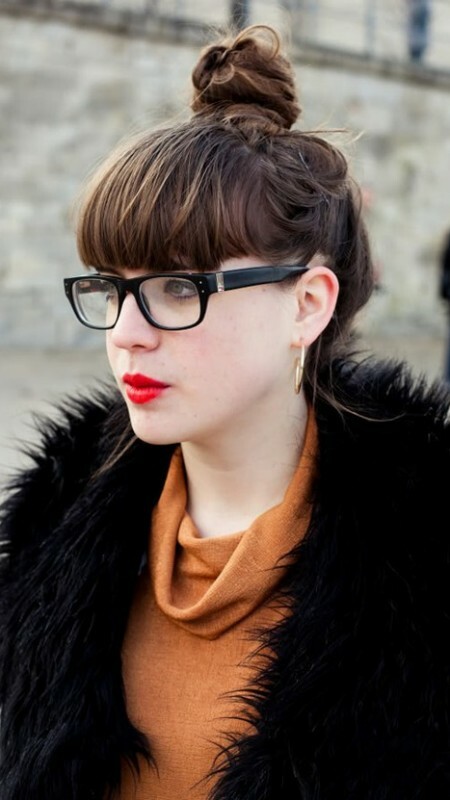 Pull both your long bangs and the low bun to one side and tie in a loose style. 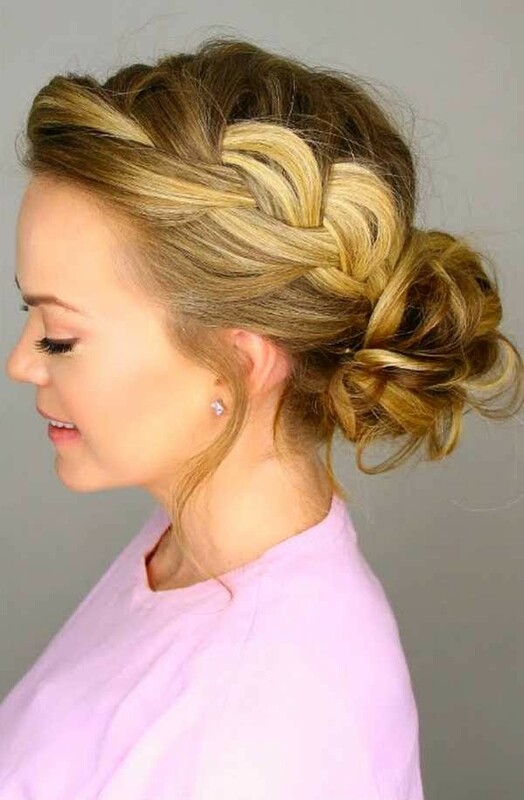 This is a trendy hairstyle for 2016 and is worn by many Hollywood stars. Its simplicity has more delicacy than many complicated hairstyles.